When most of us reflect on Valentine’s Day, we think of roses, balloons and candy hearts. You know, big, red boxes full of caramels, nougats and chocolate-covered nuts. 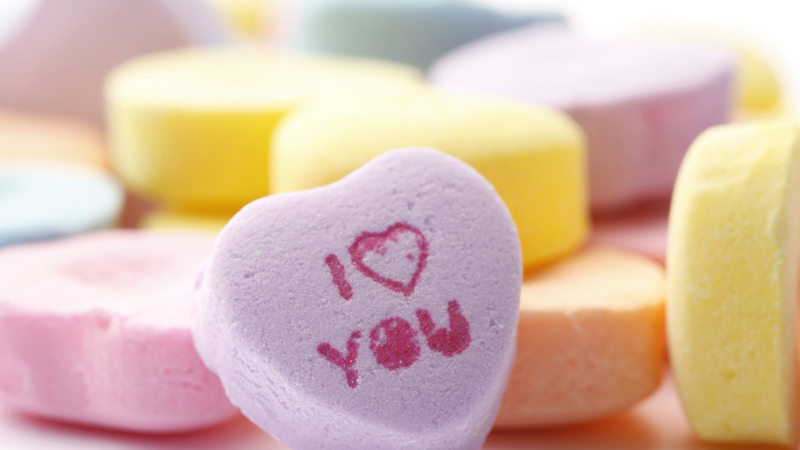 Yet the most popular Valentine’s Day treat is actually a small pressed candy: Sweethearts Conversation Hearts. But if these happen to be your go-to, brace yourself because we’ve got bad news for you. Sweethearts Conversation Hearts will not be available this year. According to CNBC, the reason is one of business. The New England Confectionery Company, also known as Necco, went out of business in July 2018, and while Round Hill Investments bought Necco — saving some of the company’s beloved products and recipes — they sold its Necco wafer brand and Sweethearts brand to Spangler Candy Company several months later. Spangler is best known for their Dum Dum lollipops. The good news is that Spangler does plan to bring the pastel hearts back; however, since they did not acquire the Sweethearts brand until September, they did not have enough time to produce the hearts for this Valentine’s Day. “There are a lot of manufacturing challenges and unanswered questions at this point, and we want to make sure these brands meet consumer expectations when they re-enter the market,” Spangler Chairman and CEO Kirk Vashaw said in a statement. And that is commendable. Spangler could have rushed a subpar product out, but they decided to wait until next season — barring, of course, any unforeseen problems or complications.